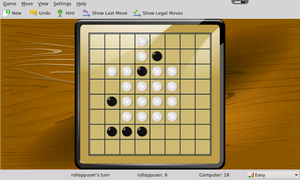 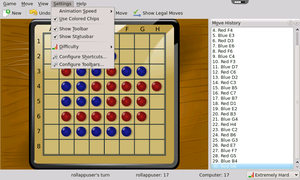 Reversi is a simple one player strategy game played against the computer. 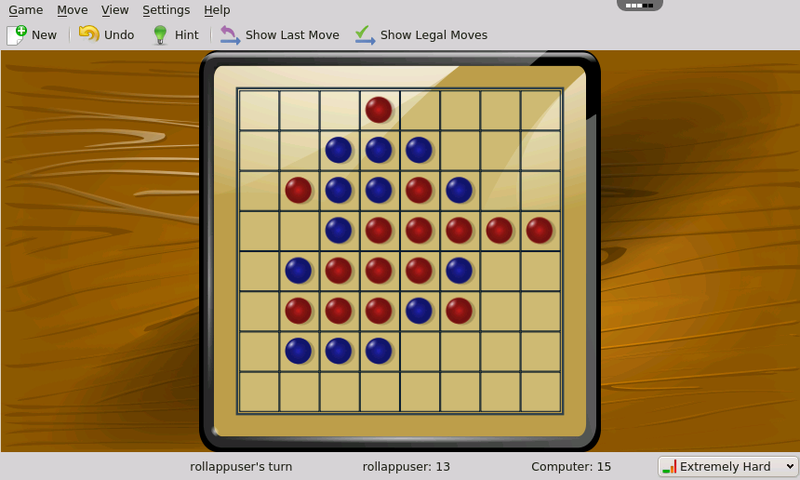 If a player's piece is captured by an opposing player, that piece is turned over to reveal the color of that player. 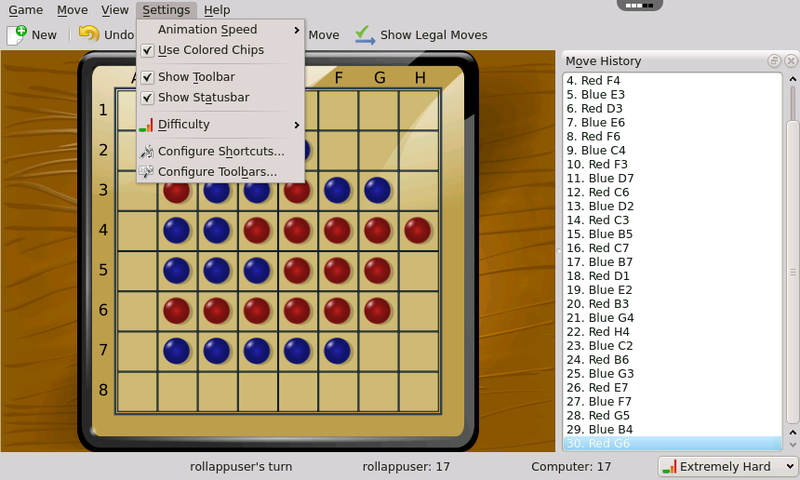 A winner is declared when one player has more pieces of his own color on the board and there are no more possible moves. 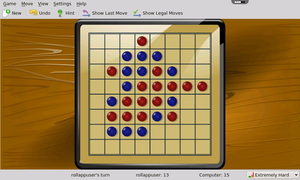 The modern version is based on the game Reversi that was invented in 1883 and gained considerable popularity in England at the end of the nineteenth century.